The one on whether this current Australian batting line up is our weakest ever will have to wait for another time, although I humbly submit any number of post-Greg Chappell teams from the mid 1980s, or any team that named Rob Quiney. The other issue recently was the revelation that NSW have picked their next Sheffield Shield young gun after a club season averaging just over 18. And that WA have at number six this week a player who has never faced more than 120 balls in his entire career. But I’m sure they are excitement machines while they are at the crease. Is that what we value now? My own experience with my son at (much) lower levels suggests so. School cricket is 20 overs, raising in senior years all the way to 30! Retirement after 30 balls is common. Bowlers get four overs and never more than three in a row. Club cricket is a mixture of 25 and 50 over games. My son’s team, taken from school cricket has never batted out their 50 overs, and they are good players. In his early years my boy was a limited player, but he could stick. He would regularly bat out his 30 balls, scoring 10-15 and topped out in a 50 over game at 29 from 75 balls, remembering that his talented teammates merrily belted their way to all out within 35 overs. After being regularly told he bats too slow and needs to play his shots, over the past twelve months my son has turned himself into an opening bat who hits 24 from 14 balls and walks off. Guess what? He is getting praise and is happier for it. So I guess this is the future. 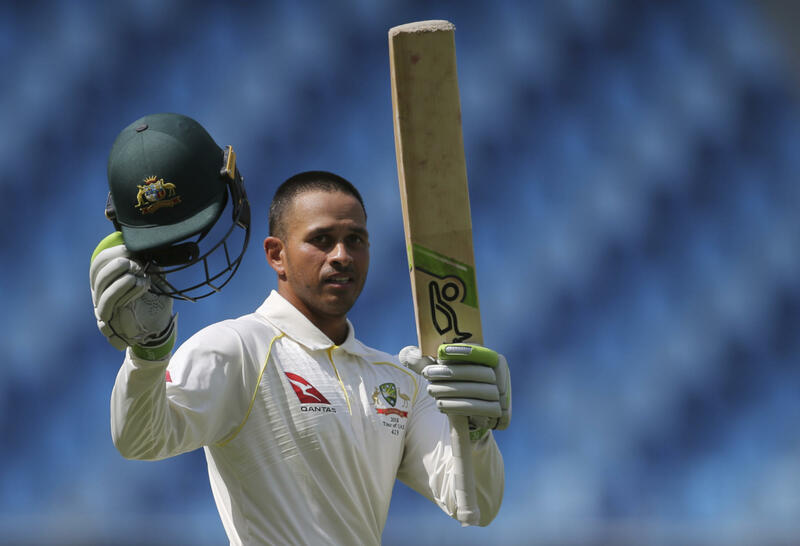 Innings like Usman Khawaja last week are all the more surprising, when for most modern players nothing they have experienced in their entire careers will prepared themselves to bat for six hours. But Funnily enough, Pakistan’s inability to put Australia away may become more common, because nothing in a modern bowler’s career of managing workload, bowling a specific number of balls in the nets and producing a day’s work of 24 different types of slower ball in a T20, prepares them for coming in for their 25th over with a beat up old ball against a player determined not to raise the roof with another DLF Maximum. So will we see shorter matches as players walk off after 50 balls because that’s when they always retire, or will we see the balance maintained, as tired bowlers can’t get out tired batsmen? More likely we will see a combination of the two. India have now played three Tests in a row that didn’t reach the fourth day. Whereas once a team makes the fifth day with no chance of winning, bowlers are more regularly flummoxed by the prospect of removing a batsman who doesn’t want to get himself out. Welcome to the new world. And here’s to 24 from 14 balls at club cricket this Saturday.